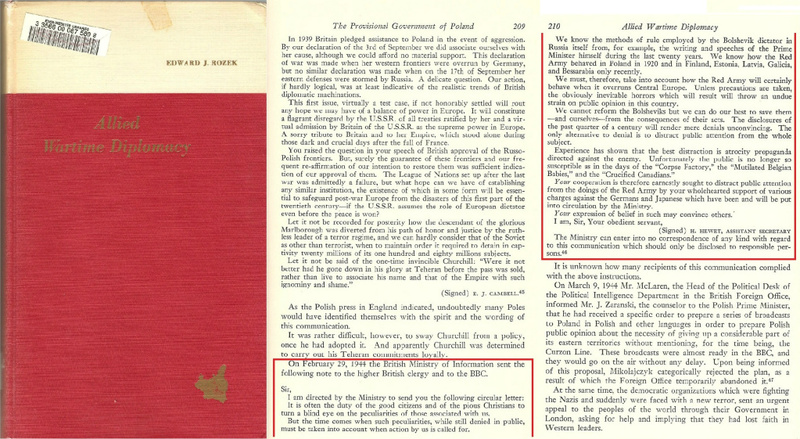 The letter from the British Ministry is outlined in red above, reproduced in the 1958 book Allied Wartime Diplomacy: A Pattern in Poland by Edward J. Rozek, pages 209-210. It was posted at Winston Smith Ministry of Truth in 2011 and introduced as evidence in the Zundel trials in 1985 and 1988 . This is a February 29, 1944 letter to the BBC and higher members of the British Clergy, from the British Ministry of Information [ie Propaganda]. In the second to the last paragraph, note the word ‘unfortunately’ along with the mention of the three atrocity stories that are admitted to be propaganda lies that the British people fell for during WW1. The Corpse Factory: Called “the most appalling” and also “the most popular atrocity story” of World War I, which held that, because fats were so scarce in Germany due to the British naval blockade, German battlefield corpses were rendered down for fat, which was then used to manufacture nitroglycerine, candles, lubricants, and even boot dubbing. [Did this morph into WW2 “soap from Jewish fat?”] Historian Randal Marlin says, “the real source for the story is to be found in the pages of the newspapers owned by Lord Northcliffe. Adrian Gregory says it was an ‘urban myth’, which had been circulated for months before it received any official notice. The Crucified Canadians: The widespread atrocity propaganda story of an Allied soldier serving in the Canadian Corps on the Western Front who may have been crucified with bayonets on a barn door or a tree. The eyewitness accounts were contradictory, no crucified body was found, and no knowledge was uncovered as to his identity. But this may have given some people ideas because Historian Keith Lowe writes that in 1945 in Gross Heydekrug, Prussia, “a German woman was crucified on the altar cross of the local church, with two German soldiers similarly strung up on either side.” In 1939, there were already photographs of ethnic Germans in Poland, including children, who had been nailed to the sides of barns in the crucifixion position. It was done to the Germans, but not by the Germans. Further comment from the Jan27 committee: As you’re reading this letter from the British Ministry of Information, keep in mind that its date of Feb. 29, 1944 was a full year and 3 months before the fall of Berlin. The Allies were not yet on European soil—D Day was still over 3 months away. Yet Britain was, with good reason, worrying about how its image would fare when the war ended, and already planning how to handle it. The RAF had just dropped 2,300 tons of bombs on Berlin civilians on January 20, 1944 and beginning Feb. 19th bombed Leipzig civilians for two straight nights, marking the beginning of what became known as the “Big Week” bombing campaign from Feb. 20-25 consisting of the United States Strategic Air Forces missions by day and RAF missions at night. The British specialty of carpet bombing had been going on for two years already. A couple of highlights in 1943 were the May 16th Dambuster Raids, carried out by RAF 617 Squadron on two German dams, Mohne and Eder, with the aim of flooding huge areas where civilians lived and worked. The attacks continued up to June 24th with great loss of lives, arable farmland and farm animals bred for food. The biggest crime in ’43 however, was the assault on the city of Hamburg on July 24, aptly called “Operation Gomorrah.” It was the heaviest attack in the history of aviation up to that time and flattened civilian housing to rubble for miles. Thousands of Hamburg survivors had to permanently move to other locations. Heavy RAF bombing of Berlin took place throughout 1943, while 40% of the buildings of the notable city of Wuppertal were destroyed in a May 29th raid with heavy civilian losses. 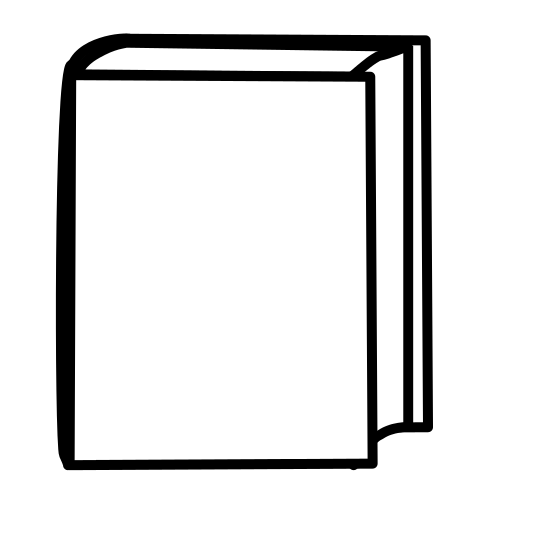 So it was with this knowledge that plans were being made to “distract” attention from their own criminal deeds by going along and even contributing to the false “gas chambers” and other concentration camp atrocity propaganda dreamed up by the Jews, Poles and Russians against the Third Reich.